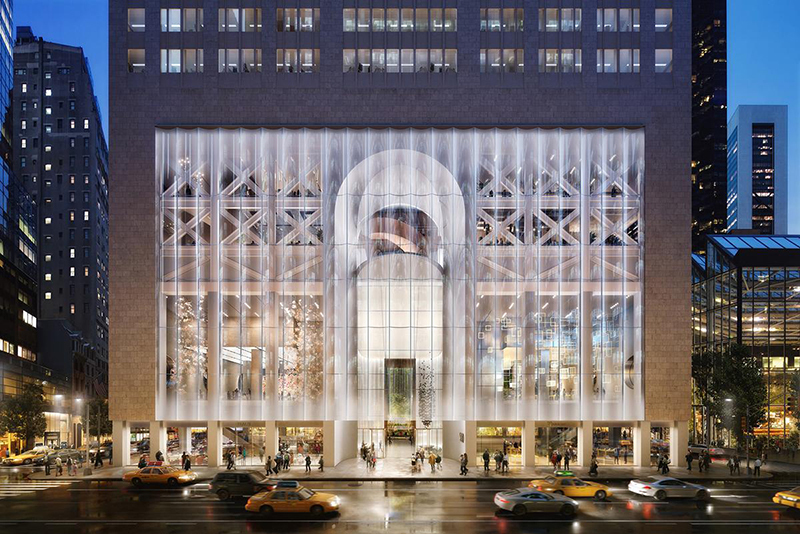 On Monday Snøhetta released renderings of their proposed renovation of 550 Madison Avenue, better known as the AT&T Building, designed by Philip Johnson and John Burgee and completed in 1984. 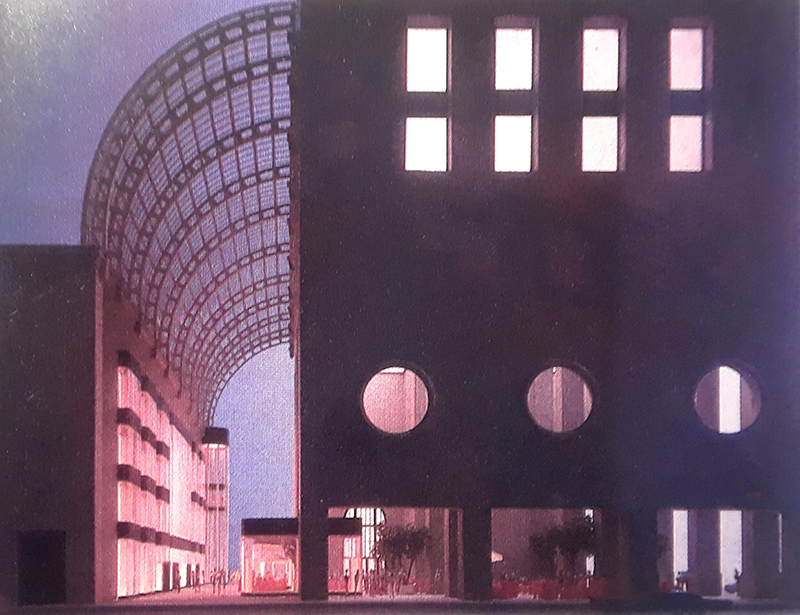 The main rendering reveals that a section of the pink-granite base facing Madison would be removed in favor of a wavy glass wall exposing the innards of the lower floors, including diagonal steel bracing located just behind the facade. The main argument for what is effectively a disfigurement of a Postmodern icon is, in the words of Snøhetta, that "the recognizable top of the tower will remain a fixture of the New York City skyline." 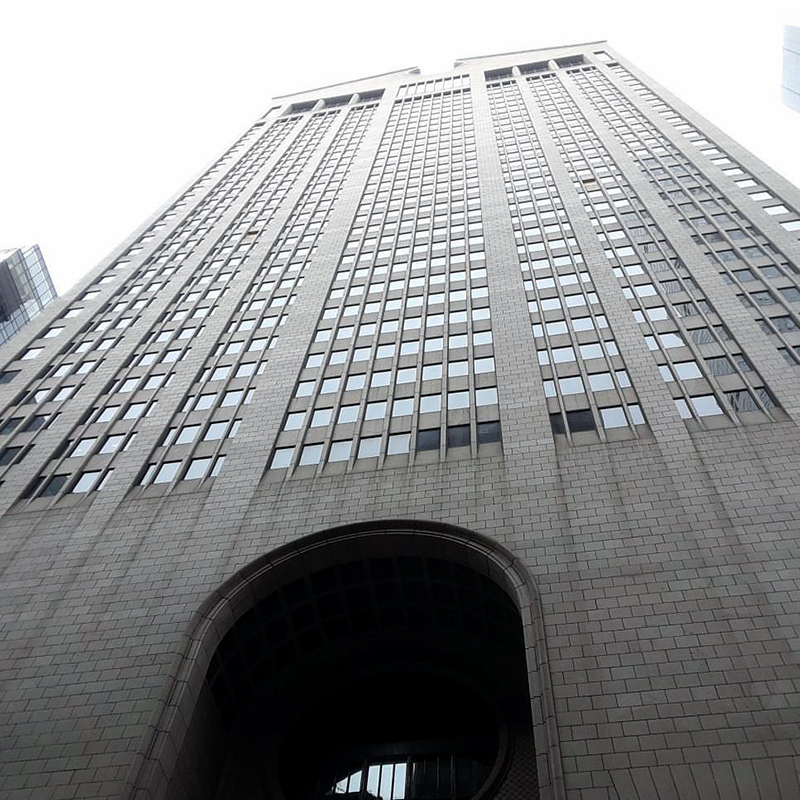 Even though the oft-called Chippendale top of the AT&T Building is its most recognizable feature, it is not a separate entity from the base. 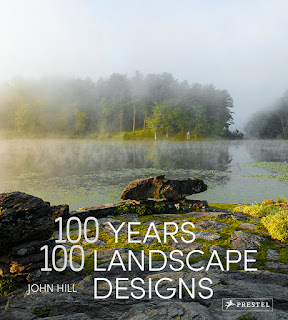 Base and top are two parts of a total composition, one that emphasized weight and aperture at a time when glass and skin were the norm. 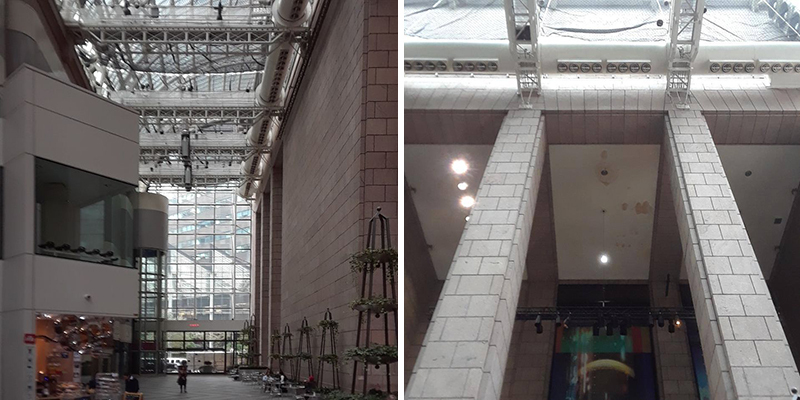 To reacquaint myself with Johnson's building, which I walk by a fair deal but don't actively engage with very much, during my lunch hour today I walked around the building, snapping these photos with my phone. Rounding the corner at 55th Street and Madison Avenue, I was surprised to see a sidewalk shed wrapping the base. Did work on the Snøhetta plan start already? Perusing the NYC BIS (Building Information System) for 550 Madison Avenue, I could see a bunch of permits pulled for interior work (sprinklers, non-bearing partitions, etc.) as well as one for Local Law 11 facade repairs, but I didn't see anything for work to be done on the base. The early-August permit for Local Law 11, which is required every five years to ensure pedestrian safety, is most likely the culprit, especially since the sidewalk shed permit was pulled one week later. Setting aside the sidewalk shed, it's worth comparing the base of the building today with it as originally built. 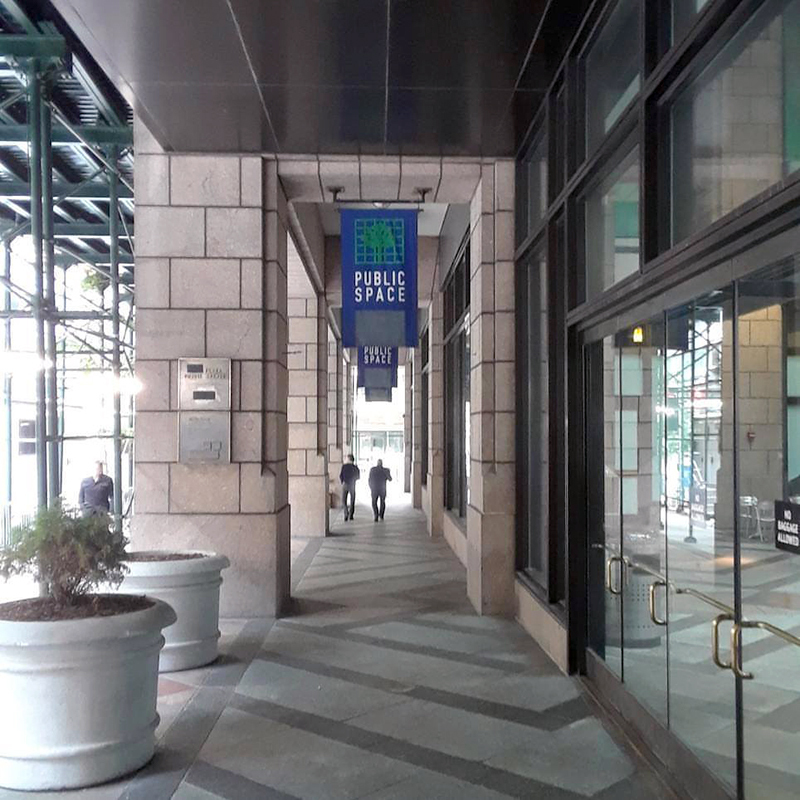 Here is a photo by Mary Ann Sullivan that shows the arcade that faced Madison Avenue and wrapped around the building to the POPS (privately owned public space) and annex on the west side of the tower. 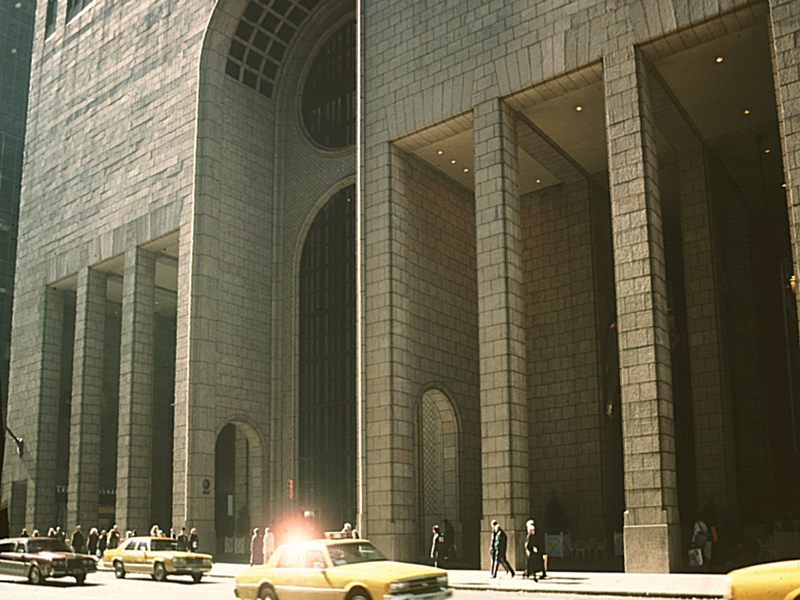 The change from arcade to enclosure happened when AT&T sold the building to Sony, who hired Charles Gwathmey's firm "to transform the structure into the world headquarters of its music entertainment division and motion picture group." The changes, completed in 1993, included "enclosing the soaring, 60-foot-high arcades flanking the north and south sides of the original building with aluminum-framed bay windows [to] recast the previously open spaces as two entertainment retail stores." Here is a model of Johnson's scheme from around 1979 showing the arcade wrapping around 55th Street toward the open POPS on the west side of the tower. How did this happen? Per Jerold Kayden at APOPS, "[In 1992] Sony proposed to eliminate 10,560 square feet of arcade ... and to replace it with 6,050 square feet of indoor retail space, much of it along the Madison Avenue frontage. 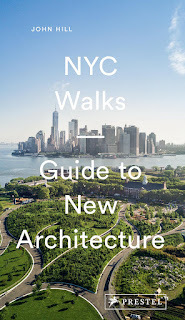 ... [Sony also offered to] enlarge its covered pedestrian space, located at the rear of the building and connecting East 55th and 56th Streets ... and to render it climate controlled. ... Sony also proposed to ... replace the AT&T Infoquest Center with its own exhibit center, called SonyWonder Technology Lab, in the annex." 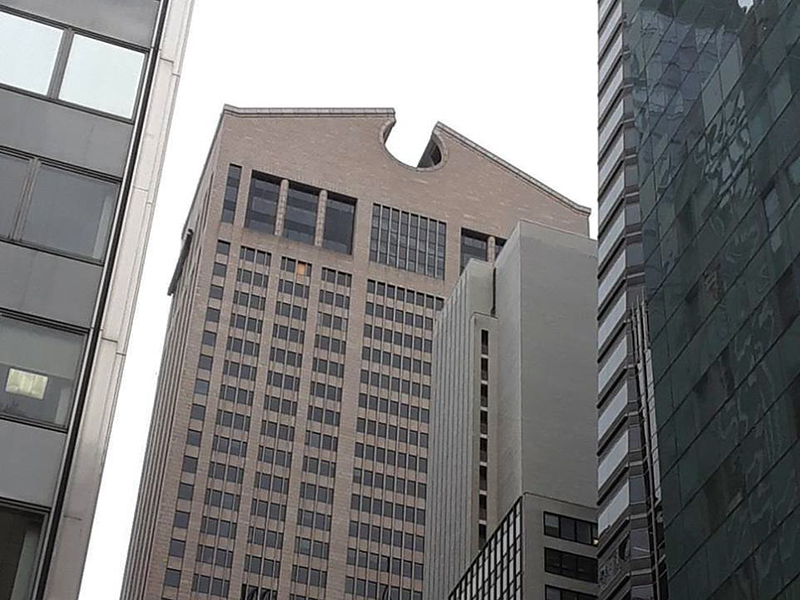 Charles Gwathmey was the first architect to disfigure the AT&T Building, doing it when the building was not even ten years old. 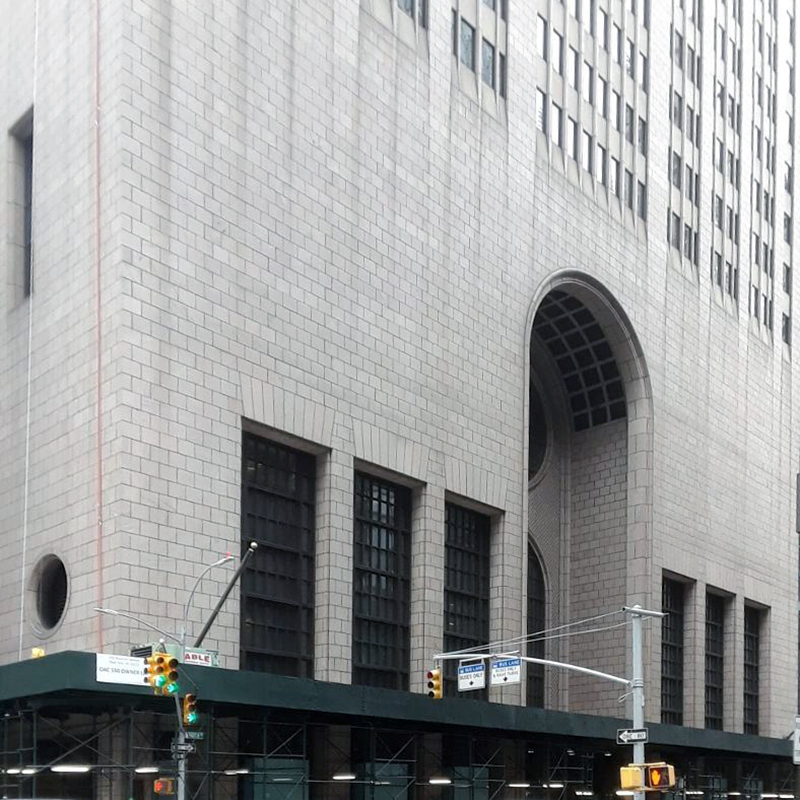 The character of the building that Snøhetta is responding to in its attempt to "transform the base into an inviting street front" is more Gwathmey's doing than it is Johnson's original. With these points, the strongest position a preservationist could take would entail opening up the arcades and POPS to Johnson's original. The Snøhetta plan actually goes part of the way there: "550 Madison’s proposed public space will be converted to an outdoor garden, providing a verdant landscape with water features and trees as a respite from the dense urban fabric of Manhattan." Ultimately, the biggest argument used by people opposing Snøhetta's renovation plan is that base and top are wed together (the above photo tries to show that) and that the wavy glass skin would obliterate that relationship. But since the building is not a NYC landmark, the changes by Snøhetta for Olayan and Chelsfield are not subject to public review. 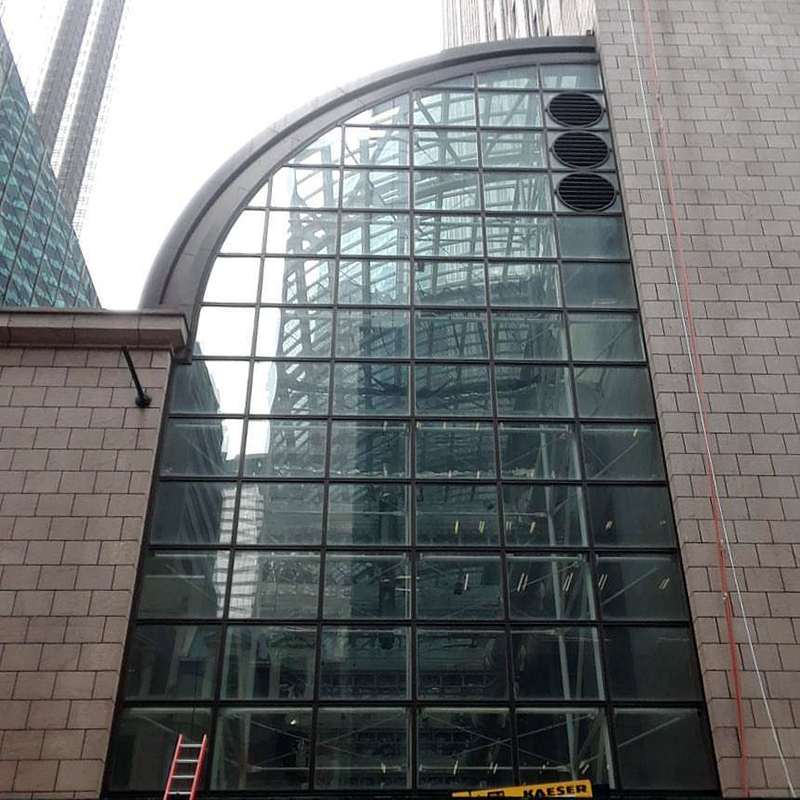 Nevertheless, one preservationist "has submitted a formal request for evaluation to the city’s Landmarks Preservation Commission for both the building’s exterior and interior lobby" (Gwathmey did not touch the latter). Furthermore, there are a petition and protest (Friday, November 3 at 1pm) aimed at derailing Snøhetta's plans. Too bad opposition to Sony's plan, if any, didn't achieve the same back in 1993.